Will we see a battle Royal? The UK’s existing Faster Payments scheme could be consigned to the slow lane as researchers at Royal Bank of Scotland (RBS) claim to have demonstrated blockchain supporting a new banking industry clearing system. In a ten-page technical paper, “Proving Ethereum for the clearing use case”, RBS’s innovation engineering team says it has created a clearing and settlement mechanism based on the Ethereum distributed ledger. The paper says the current cross-border clearing and settlement value chain is “costly, inefficient, and not transparent” and the team thinks blockchain is the solution. The aims of the initial performance testing were to evaluate the technology and understand any current limitations. 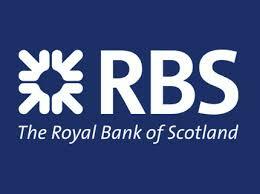 GFT Technologies (GFT) helped RBS to performance test the application on Google’s Cloud Platform. Ethereum required some modifications to tune its focus from a “hugely distributed”, public system to a “faster moving, private ledger aimed at speed and throughput”. The test results evidenced a throughput of 100 payments per second, with six simulated banks, and a single trip mean time of three seconds and maximum time of eight seconds. The paper says this is the “level appropriate for a national level domestic payments system”. RBS says the modifications and setup specifics will now be used to take the project, which it is intending to open source, forward. Over to you Faster Payments. Apparently, they ruined somebody’s holiday?